It’s back-to-school season across the country, and if you’ve got a bit of downtime because your kids are back in class, take a few minutes to catch up on the latest real estate news. We’ve got stories on whether housing market bubble fears are warranted—particularly because more and more homebuyers are putting down less and less on their purchase. Home prices continue to climb, but we’ve got the skinny on those fat prices. Take a few moments to read some tips on running a successful small business, as compiled by Entrepreneur. Happy reading! 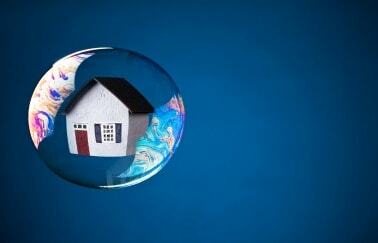 58% of homeowners think the market is set for a correction: are housing market bubble fears founded? With memories of a previous crash still fairly fresh, many homeowners worry that the current real estate market is on course for another correction. Does this mean a bubble is imminent? Experts weigh in—and the news is good. Down payments of less than 10 percent are at an all-time high. Do these riskier loans mean we could be heading for another foreclosure crisis à la 2008? Home prices are going up with no end in sight. Inventory continues to be low in most metro areas across the country. What do you and your buyers need to know? The latest trend toward tiny does not apply to outdoor space, according to a survey conducted by Wakefield Research. Homebuyers today are willing to sacrifice indoor space for a bigger yard. Find out what’s behind this latest movement. One of the keys to your success in real estate is treating your job like the business it is. Entrepreneur lists four keys to success that pertain to any kind of small business. Don’t miss these tips.